For $89, the Beyerdynamic Soul Byrd earbuds are a real contender. Sound clarity is excellent despite the low-end exaggeration, and comfort is bar none. Due to the way the earbud chambers sit flush with the ear, these ‘buds are the perfect night time companion for listeners who like to enjoy audiobooks or podcasts from bed. We’re bombarded with the latest wireless and true wireless gadgets and gizmos, but Beyerdynamic keeps things simple with the Beyerdynamic Soul Byrd wired earphones. 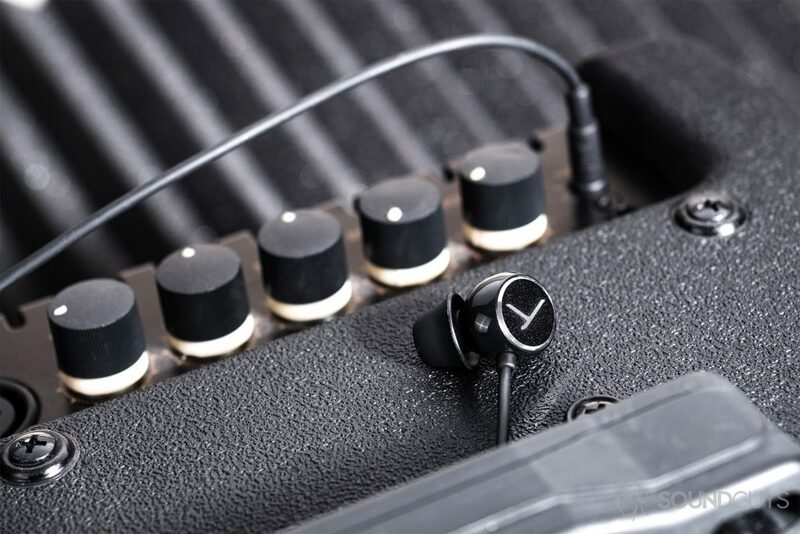 The angled nozzles and slim housings make for an unbelievably comfortable fit, and sound quality is above par as we’ve come to expect from the company. For $89, though, it may be hard to justify what appears to be a seemingly basic product. Who is the Beyerdynamic Soul Byrd for? These compact earbuds are ideal for on-the-go listening and cost less than $90. These earbuds are a great option if you’re looking to upgrade the in-ears included with your phone but don’t want to spend a fortune. 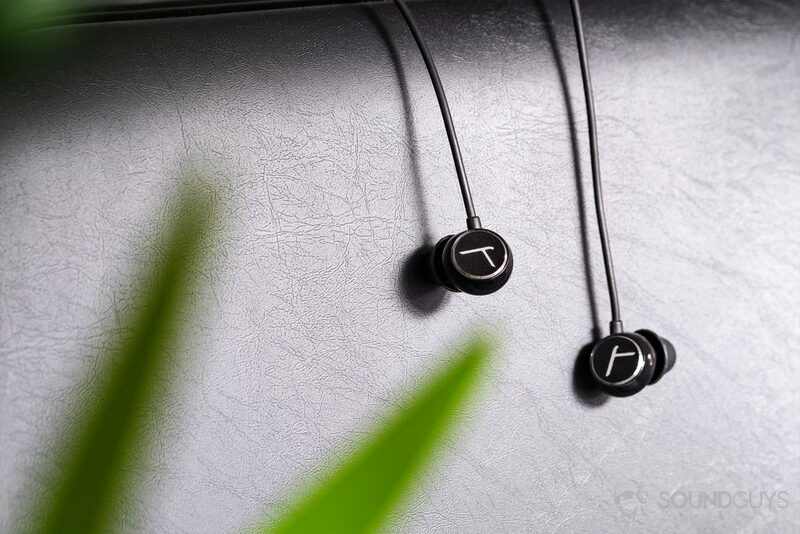 For less than $100, you get a chic, all-black design with earbuds that sit flush with the outer ear. While they don’t isolate you as well as a pair of noise cancelling earbuds, they’re effective enough for most commutes. Since these are wired, you’re going to need a phone with a headphone jack or a dongle adapter. Listeners get a hardshell case, one shirt cable clip, five pairs of silicone ear tips, and the earbuds. The angled nozzles in conjunction with the conical ear tips make for a comfortable pair of earbuds. The Beyerdynamic Soul Byrd earbuds are elegant. Ornamented with anodized aluminum panels with the embossed Beyerdynamic logo, the flush housings look sleek. Inside each chamber is a dynamic driver, and extending from the housings are tangle-resistant cables that converge at a Y-splitter. Between said splitter and the earbuds is an in-line mic and remote module along with a cable management slider. The oblong divot on the module displays three separated buttons for playback controls and virtual assistant access. Unfortunately, our review unit seems faulty and is unable to access Google Assistant, Cortana, or Siri by depressing the multi-function button. The Beyerdynamic Soul Byrd earbuds are remarkably comfortable. When wearing the earbuds, I noticed how unusually comfortable they are. The cable descends just below the bottom of the targus. The angled, conical ear tips also aid in providing a comfortable fit so long as you install the appropriate pair. What’s more, the flat panels rest well below the antihelix, meaning you can wear your favorite beanie without worrying about weird protrusions. I found this design to be effective for lying on my side and listening to podcasts, a modest evening ritual. Normally, I leave the earbud of the ear resting against the pillow. However, because these don’t extend past the outer ear, it’s easy and painless to wear them in bed. The Beyerdynamic Soul Byrd control module is unobtrusive and easy to use. The microphone placement is conducive to clear voice transmission, but it does sound like the speaker is in an echo chamber. Also worth noting, the microphone does not work with my LG G6 but does work with my Surface Book (2015). It’s not a G6 issue, surprisingly enough, because the microphone from my wired RHA MA750 works without a hitch. The Beyerdynamic Soul Byrd’s isolation properties are ok, but won’t filter out nearby chatter. As indicated by the frequency response chart, the low-end is emphasized by the Beyerdynamic Soul Byrd earphones. If I just looked at the chart, I’d be skeptical about clarity, but Beyerdynamic managed to engineer drivers that adroitly navigate boosted lows without masking vocal frequencies too much. The 1.2-meter cable is a bit short to use with an amp or studio equipment but perfect for travel. In the Alabama Shakes’ song Future People, the opening bass line is clear, including the harmonic frequencies that resonate. Immediately after the opening note, a rustling sound is introduced to the mix, which is reproduced with great clarity through the right channel. While this separation can be partially attributed to masterful audio engineering, it’s worth noting that the Beyerdynamic Soul Byrd earbuds are skillfully able to distinguish between what could have easily been reproduced as conflicting sounds. At 0:30, lead vocalist Brittany Howard belts the lyrics, “Some want to see…” While her voice remains distinguishable from the cymbal hits and continuing bass-line, the low-end emphasis does degrade detail. This makes sense as 1kHz-2.5kHz is the least prominent frequency range produced by the earbuds. Generally speaking, though, the bass and treble-oriented sound signature is what most of us consumers are used to and prefer. Should you buy the Beyerdynamic Soul Byrd? The tangle-resistant cable is effective. With all this talk of the future being wireless, it may seem odd to invest in a set of wired headphones or earbuds. However, when discussing audio quality, it’s no contest: wired products win every time over their Bluetooth competitors. If your smartphone retained the headphone jack and you’re looking for an upgrade to your current dollar-store earbuds, these are a fine option. That said, they’re not the best: the lack of microphone compatibility and virtual assistant support is concerning. Granted, it could very well be a fluke bunk pair that we received. Either way, there are comparable products for under $100, one of our favorites being the 1More Triple-Driver In-Ear. If you’re an avid pre-bedtime podcast or audiobook listener, though, these chic earbuds may be very easy to justify buying. Your day, your sound. Check it Out. Soul Byrd is the perfect all-rounder. With its extra flat in-ear design, Its ease of use and unbelievable sound spectrum, The soul Byrd is your multidimensional companion for everyday of the week. With balanced sound and outstanding resolution, The soul Byrd knows how to bring out the very best in your favorite songs. Take it anywhere at any time and have your music at your fingertips. Ergonomically shaped Housing ensures a secure and particularly snug fit in the ear. 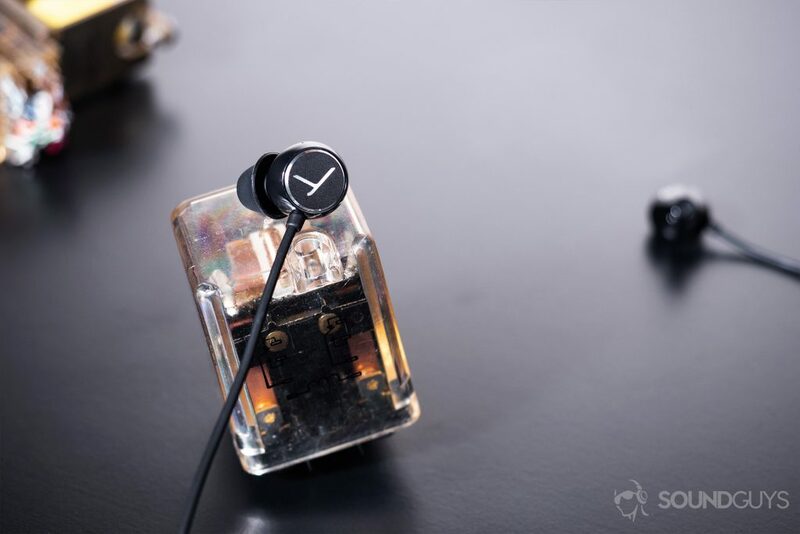 Thanks to the flat shape of the housing, The in-ear sits discretely in the ear and is therefore ideal when relaxing or sleeping without any discomfort.